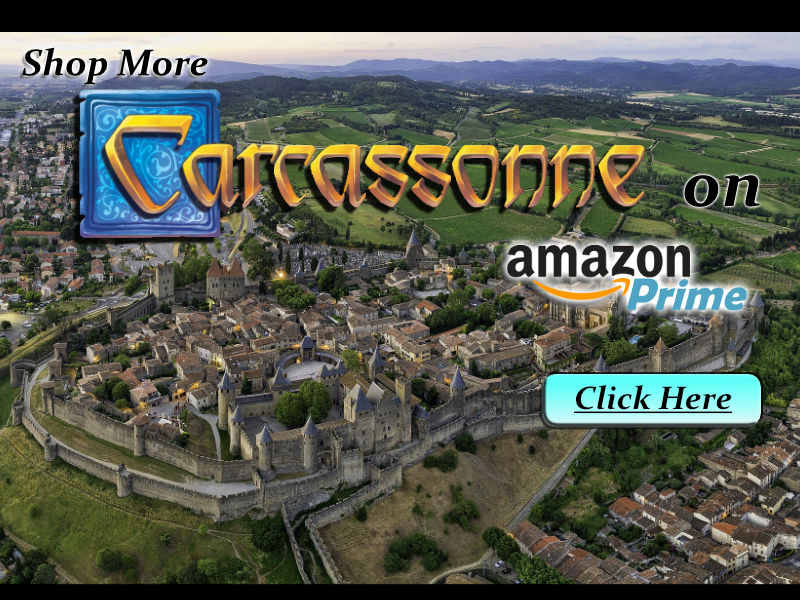 Carcassonne – Rules, Questions, FAQs, Clarification. Carcassonne's rules are very well written, but some people still have queries. Also, if you add multiple expansion sets the rules can get quite complicated as parts which were not intended to interact with one another may do so in complex or ambiguous ways. New Rules: Important: The original German rules have changed. Sequence of Play: Clarification of the order of events when you have multiple expansion sets. Scoring Summary: Simple table of all the scoring elements from all the expansion sets. FAQ: Not sure what the rules mean? Confused by combining multiple expansions? Find all the answers here! The River & The River II: Explains exactly what is meant by a "U" turn. The Cathars: The rules, to save you cutting up your Almanac. 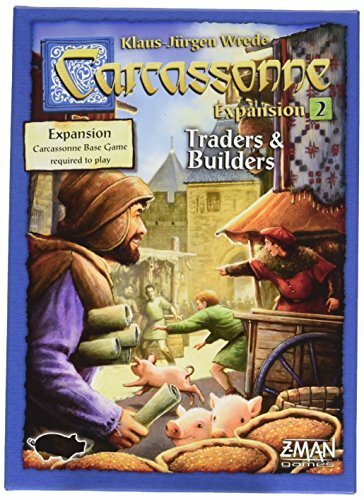 Links: Lots more useful places in the world of Carcassonne. 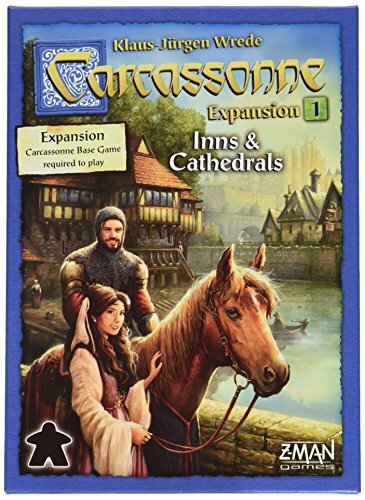 Carcassonne has been expanded in many ways since it first appeared. If you don't recognise some of the components in this document then check here to see which set you need to buy to get them. 1 point for having the Fairy with one of your followers at the beginning of your turn. 3 points for having the Fairy with one of your followers when anyone scores for a City, Road, Cloister or Farm that the Fairy is in. It is important to understand that when the rules refer to "followers" that includes followers, large followers, pigs and builders – they are all "followers". All of the expansion sets listed here are covered in these documents. 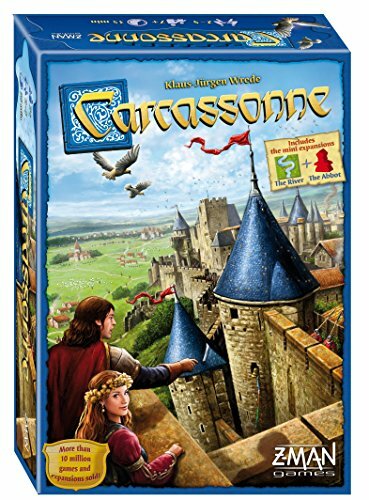 The basic Carcassonne rules have been modified a number of times, partly as a reaction to feedback from Carcassonne enthusiasts. Hopefully the current rules are simpler, clearer and fairer than the original rules and provide a more balanced game. Please note that the English-language version of the rules that comes in the box has not been updated with any of these changes. A completed city which consists of only two segments now scores 2 points for each tile, exactly like every other completed city, giving a total of 4 points (instead of the 2 points in the original rules). There have been three versions of the farmer scoring in the game of Carcassonne. A farm is a piece of grassland enclosed by road, city, river or non-existing tiles. A farmer farms all the land he can walk to without leaving "the green" no matter how far away, as long as he doesn't cross a road or a river. He supplies all the cities which his farm touches. A player can score for supplying a city from several sides. If a player has a majority in multiple different farms which border on the same city, then the player scores 3 points for that city for each farm. Farms are bounded by roads, cities and the edge of the area where the land tiles have been played. Pigs score 1 extra point per city, so a farm with a pig scores 4 points per city instead of 3. The pig-herd scores 1 extra point per city for each farmer scoring for the farm with the pig-herd. Note: All the information below assumes you are using the new rules wherever farm scoring or small cities are referenced. Please make allowances if you are playing by different rules. The first thing to do is to agree exactly which rules you are playing by: New Rules? River Rules? If the Fairy is with one of your followers score 1 point. If you wish to buy back one prisoner, do so now. The player must draw one land tile and place it. An unplayable tile is discarded and a new one is drawn. If the tile completed a city with trade goods the player who placed the tile takes the corresponding trade good tokens. If the tile completed a city larger than any previous city then the player who placed the tile takes the King. If the tile completed a road longer than any previous road then the player who placed the tile takes the Robber Baron. The player may place, move or remove one follower, character or tower block in accordance with the rules. If the tile placed is a volcano then the Dragon must be placed on it, this ends this step. Place one knight, thief, farmer, monk, pig or builder. Remove one knight or builder with the aid of a Princess. Place or move the Fairy. You may only do one of these. If you placed a tower block you may remove one enemy follower from the area controlled by the tower. If you do so, and that enemy had one of your followers as a prisoner, exchange prisoners. If the tile placed shows a dragon then the Dragon moves now. Note that the current player could have moved the Fairy in Step 3. Note that scoring has not yet taken place, so if the Dragon eats a follower in a completed area that follower will not count when determining the majority in that area for scoring purposes. If there is a cloister adjacent to a Cathar tile then the player may return one knight or builder from the besieged city to his supply. If you are using the Count and have met the criteria, optionally place one follower into Carcassonne and optionally move the Count. Followers returned to your supply on this turn, by the action of a dragon, princess, tower or Cathar-escape, are eligible. All followers in scored areas are returned to their owner's supply. Note: If you are entitled to another turn because of your Builder, or because you placed the volcano-lake tile, then you start again at Step 2. Apart from omitting Step 1, it is a completely separate turn. What you did in your first turn has no effect on what you are allowed to do in your second turn. When multiple players share the majority (i.e. they have the same number of followers in the area being scored and no-one else has more) then each of those player gets the full score. This document was produced by John Sweeney, a good friend and Carc player. Of these, only Hunters & Gatherers is covered here – follow the link for Hunters & Gatherers clarification. Carcassonne is definitely an exciting game; for more fun experiences please drop by NorskCasino.org - a Norwegian resource page for online gaming. http://en.boardgamearena.com?s=1079453 – please use this link when you register so that I get a referral. Learn more about playing casino games online at www.casinotestreports.com. For more information about all board games see http://www.boardgamegeek.com.